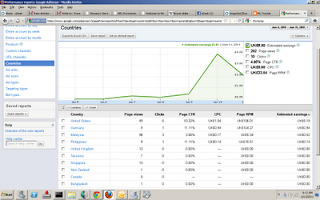 Just myself: How is your ADSENSE so far? It's been a very long while I did SEO and Red-Hat tricks and I did have to look at how things are really going for me...and I am quite shocked when I saw the real deal here. 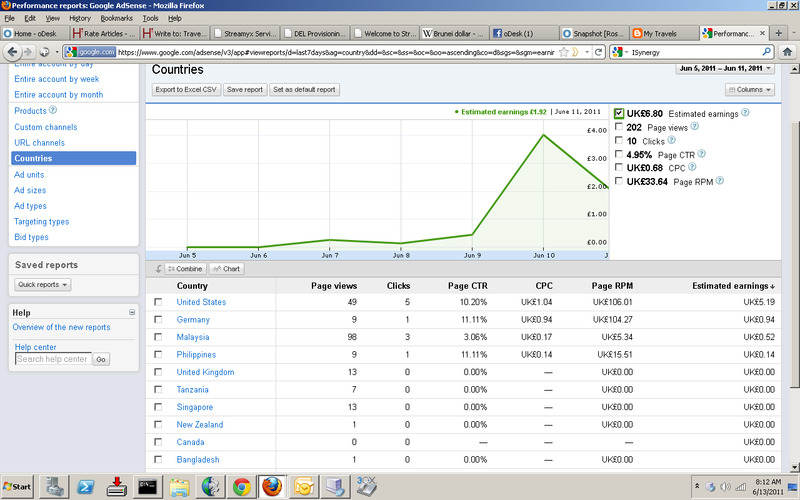 So what I am seeing here, that is the US market is really making money for me... but what ads are actually coming up? I have been hearing it's not Google Adsense but of lower quality Adchoices which the monopoly was by... Hostgator and AMEX on some. Anyone can give me a guess? I am quite intrigued by these..and surely my friend Diana Tan will be asking herself. But I am paying a small team to analyze the ads for me.... so let's see how it goes. My Adsense on my blog is doing well. Payment issued last week and I hope to improve my quality score.